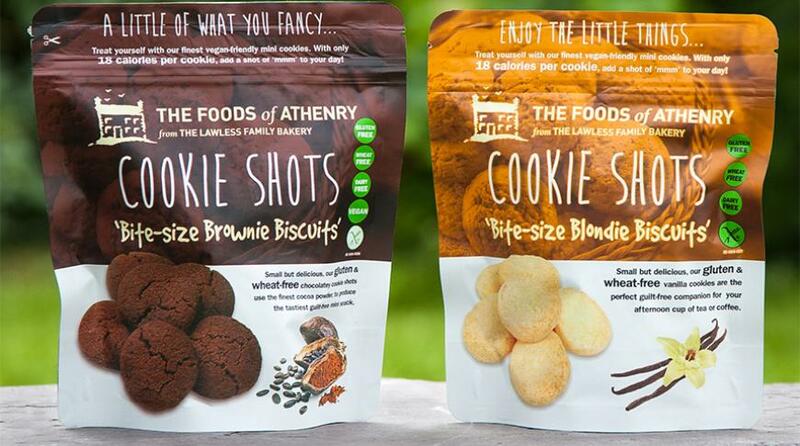 The Foods of Athenry products are available nationwide in supermarkets and health stores across Ireland, and online at www.foodsofathenry.ie/shop. 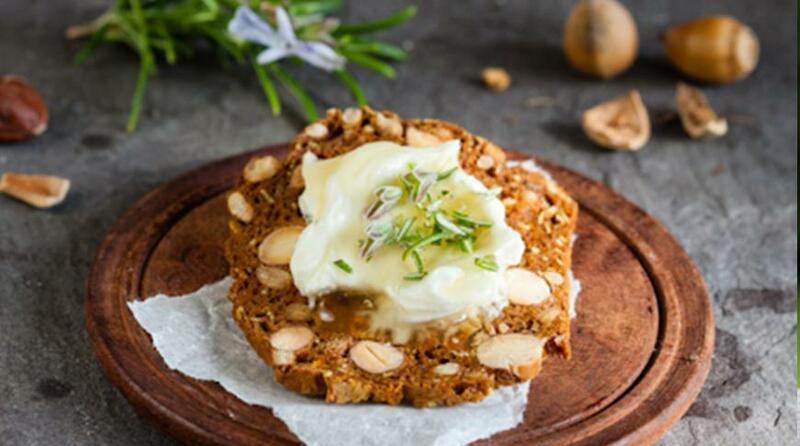 When former dairy farmers Paul and Siobhan Lawless started their farmhouse bakery, “The Foods of Athenry” in 2000, a converted bicycle shed on their Co Galway farm was the unlikely setting for the new business. By 2004, however, growing demand led to them moving the bakery into more spacious premises at the old milking parlour. Basing their philosophy on the simple concept that they wouldn’t put anything into their products that they weren’t happy to give to their own family, their mission statement from the outset was to make “quality real food for food lovers, the food conscious and the dietary challenged, produced with integrity and mindful of the environment”. 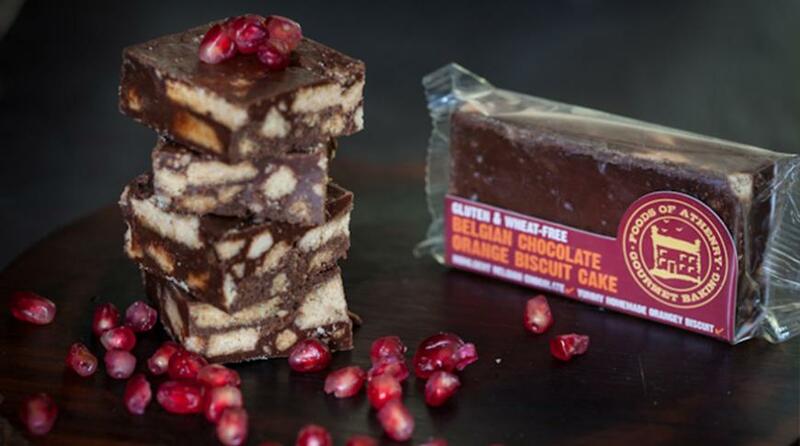 They soon built up a national reputation for their healthily delicious 'free-from' and gluten free home bakes (no yeast, preservatives and hydrogenated fats), and their impressive range of products, all produced by hand and using ingredients that are carefully selected to give the best balance of taste and nutrition. ‘Deliciously wholesome’ is the claim and, whether or not a special diet is essential to your wellbeing, it’s great to find products that are so thoughtfully produced to be healthy yet without sacrificing flavour or texture. No wonder they have so many fans, including celebrities like Ellie Goulding, John Cleese and Roz Purcell. 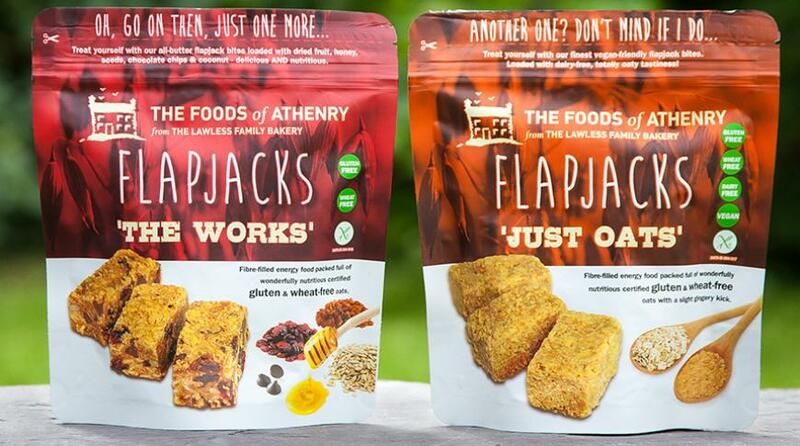 The current product lines are gluten free cereals, gluten free cookies, gluten free flapjacks, gluten free crackers, gluten free cakes and a seasonal gluten free range. Many of their products are also dairy free and suitable for vegans. Paul and Siobhan’s enthusiasm is infectious – you will meet them at events, including Blas na hEireann /Irish Food Awards in Dingle, and Bloom. In 2011 their precious bakery was gutted by fire. Yet, with typical courage and determination, they were back in business within 10 weeks after the fire – and have since amassed over 50 food awards in recognition of their pursuit of excellence.